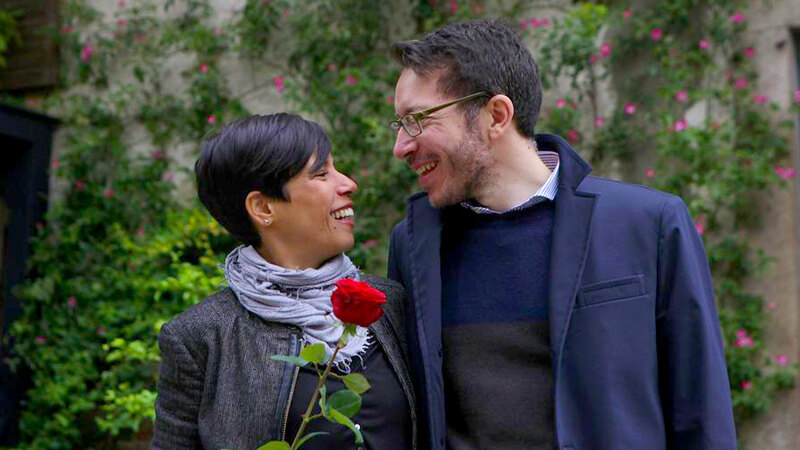 Renzo and Lucia, protagonists of Alessandro Manzoni’s novel "I Promessi Sposi" ("The Betrothed"), after big sufferings and adventures, finally meet each other again at San Simpliciano Church square, where they enjoy their kiss of love, forever lasting. 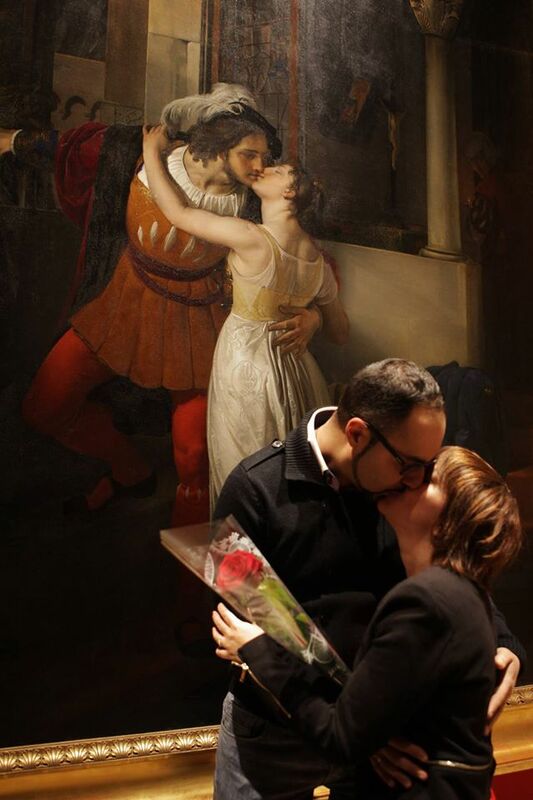 Let you two become the lovers of Hayez's masterpiece "Il Bacio". Yes, exactly you, lovely couples, Milan is looking for you to be passionate! Let your love shine bright, spreading your kisses around the most romantic and hidden places in town. Come on! Follow Elena and her red rose, she, strolling with you among wonderful and secret cloisters and courtyards in Milan, will take professional photos of you, transforming you in sweet protagonists as in the Hayez paint and making your love become even more precious in beautiful images. 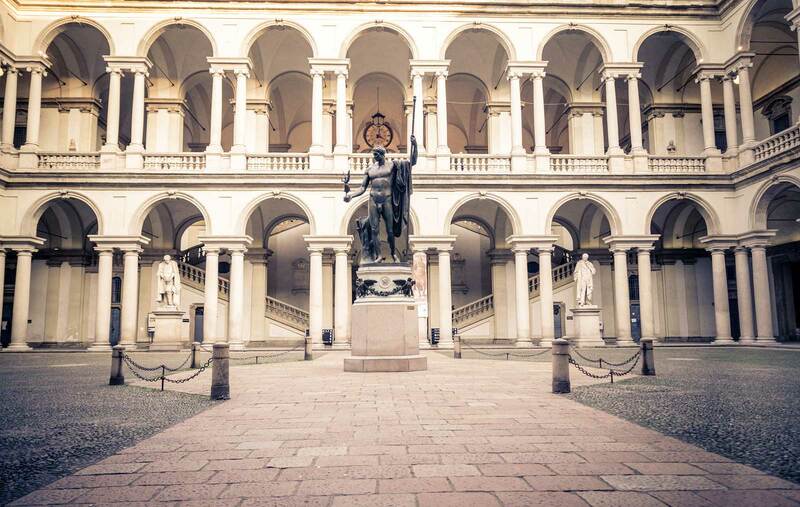 - Photoshots in different locations: close to the famous Hayez masterpiece inside the art gallery, in the nearby Botanic Garden and inside cloisters and secret gardens in Borgonuovo and San Simpliciano zones. - As crowning triumph of this romantic path, Elena offers you a spectacular ice-cream or a sweet in a great pasticceria of Milan. - The best picture of the dossier is printed out and you receive it at once. All the others will be sent to you by the Web.